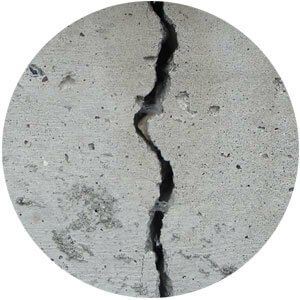 Cracks appear in brittle materials such as concrete, sheetrock, tile, brick and stucco. Structural distress does cause cracks, but the vast majority of cracks are NOT structural in nature. 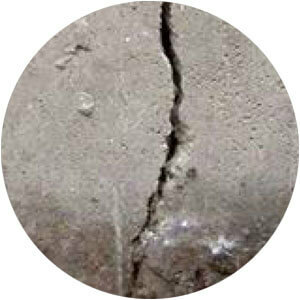 Cracks are most commonly caused by expansion and contraction of building materials due to changes in moisture content and temperature. 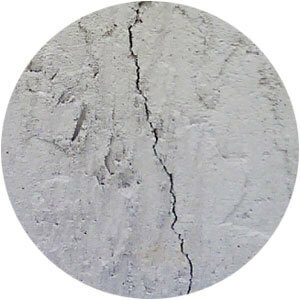 These types of cracks DO NOT represent a structural concern. Concrete, mortar, grout and stucco can shrink and crack for months after construction as they slowly dry and lose moisture. 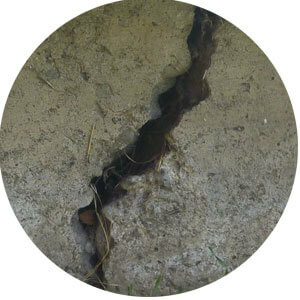 Shrinkage cracks in concrete floor slabs are expected and very common, and do not compromise structural integrity. Temperature changes cause construction materials to expand and contract daily and seasonally. For example, the temperature difference between the exterior and interior sides of a wall can cause as much as 1/2 inch of bowing stress daily. The temperature in an attic can fluctuate daily, by as much as 100 degrees Fahrenheit. Due to this fluctuation, cracking is expected; which is why builders use construction joints in materials such as concrete, brick, stucco, and tile. * WHY IS MY CEILING CRACKING?